Are You Seeking A Legal Expert To Handle Your Truck Accident or Car Accident Personal Injury Claim In Lomita, Los Angeles, CA? Truck accidents in Lomita, Los Angeles and throughout California can have devastating effects on the victim and the victim’s family. For over 40 years we have been helping victims of truck, car and other injury accidents. We offer aggressive personal injury legal services for those injured in truck, car, auto, motorcycle, bus, bicycle and other accidents, and to the relatives and families of those killed in truck accidents for wrongful death claims in Lomita, Los Angeles and anywhere else in California. Our experienced lawyers are proficient in personal injury claims, truck accident injury claims, and wrongful death claims. Visit our Truck Injury Accident Web Site and our Truck Accident Advice Site to learn more about the truck accident injury claims process and, in general, what to do when you have an injury in a truck accident..
For specific and confidential legal counseling from our experienced and compassionate truck accident injury & wrongful death accident lawyers and complete assistance from our legal team about your particular case, contact us now for an absolutely FREE Case Evaluation and Consultation. 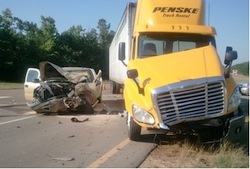 For further information about our truck accident personal injury attorneys, visit our home page and our lawyer profiles. 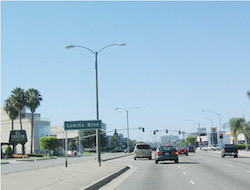 Nicknamed as the ‘friendly city’, Lomita is in Los Angeles County, California. It has a population of 20,256, according to the U.S. Census 2010. The Spanish word Lomita means, ‘little knoll’. Lomita, CA is known for being the origin place for quite a few major league baseball players, including American Major League Baseball pitcher Chad Qualls, Erv Palica, also a Major League Baseball (MLB) pitcher and Ted Lilly, a MLB pitcher for the Montreal Expos, New York Yankees, Oakland Athletics, Toronto Blue Jays, Chicago Cubs and our own Los Angeles Dodgers. Besides its rich heritage, Lomita has an equally beautiful vicinity, bordered by Redondo Beach, Torrance, Carson and Long Beach. A truck accident can result in a great amount of physical damage, and even death with a wrongful death accident claim in some circumstances. Not to mention the emotional trauma one has to go through bearing physical pain or even worse – the loss of a loved one. There is no money in the world that can compensate for that. However, it is extremely important for those who have experienced such an unfortunate accident to have the assistance of a professional and very experienced truck accident personal injury lawyer. Truck drivers are sometimes negligent, inattentive, and even rash in their truck handling. Commercial truck drivers are provided financial incentives to travel long distance as fast as possible. This potentially dangerous and neglectful behavior has proven catastrophic for small vehicle passengers, especially those in much smaller cars, on motorcycles and bicycles, and pedestrians. A major reason for truck collisions is that some truck companies and truck drivers neglect important safety aspects, including inspections and maintenance, and are overly concerned with their profits. In addition, there are several factors, including ride height, weight, momentum, stopping distance, and driver field of vision that affects driver safety and without proper training, experience and safety checks can lead to devastating accidents and collisions. An essential aspect of understanding truck, car and other personal injury & wrongful death accident claims is to determine who is at fault. Our truck accident personal injury lawyers will help you understand your truck accident personal injury claim or wrongful death claim and provide a FREE and confidential consultation to assist and guide you. Contact us by emailing us at info@WalchLaw.com. We Offer FREE Consultations and Work On A Contingency Fee Basis - NO FEE UNTIL YOU WIN!